Kirchberg in Tirol is a municipality in the Austrian Tyrol, a few kilometers from Kitzbühel, one of the most famous ski resorts of Europe. 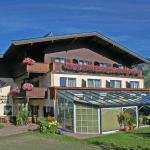 Kirchberg is a much quieter place where to ski, but also perfect to spend summer holidays. In the area there are over forty huts and chalets available to tourists. 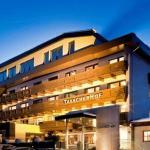 Kirchberg is a very quiet location in the Austrian Tyrol, very close to the famous Kitzbühel: the two places together create a huge ski area of over 240 kilometers of slopes and nearly a hundred ski lifts. Kirchberg is a lovely place for weekends and winter holidays for families with children, lovers of peace, with slopes suitable for all levels and abilities, but also for those who practice cross-country skiing: there are over 40 kilometers of available loops around Kirchberg. The ski area Kitzbühel / Kirchberg reaches Mittersill. The cable car Fleckalmbahn takes you directly from Kirchberg to the mountain tops. In the area there are the famous ski slopes Streif, Mausefalle, Hausbergkante, where the best professional skiers in the world train. Kirchberg in summer is a place for walking and trekking, with woods and pastures: in the area there are over forty huts and some famous pastures such as the Bärstättalm, the Auerhochal, the Seeholz and Gauxerbauer. Kirchberg is located at the mouth of the Spertental valley, which is part of the Brixental Valley and is famous for the Vital-arena: almost a hundred miles of trails for Nordic walking, running or summer walking, divided into 13 tracks of different difficulty levels. And in summer you can relax at the Kneipp facility in the nearby Aschau, a center with several pools for different therapies. 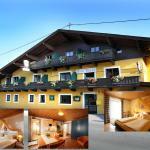 The Alpenhotel Traube is located in the heart of Tyrol, in the centre of Kirchberg. 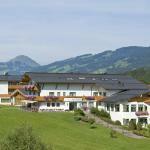 A few kilometers from the famous town of Kitzbühel, this hotel offers wonderful views of the surrounding mountains.